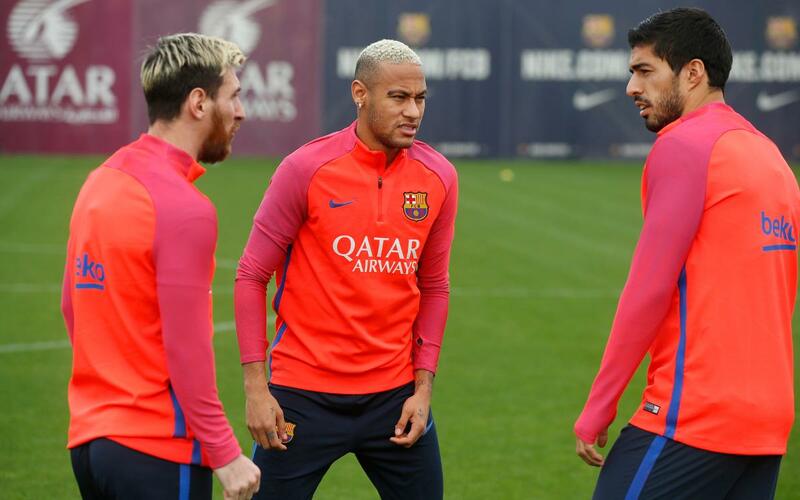 FC Barcelona held their penultimate training session before facing Deportivo on Saturday at the Camp Nou (4.15pm CET). Luis Enrique finally had all of his players who had been away representing their respective national teams over the past two weeks back at his disposal. Luis Suárez, Mascherano and Ter Stegen were the latest to return from international duty, while also joining the session were Moisés, Marlon, Nili and Dani Romera from Barça B. The team will hold their final session before Saturday’s game on Friday morning which will be followed by a press conference with Luis Enrique.